An attack by Syrian rebels on an ethnic Armenian town has raised questions about Turkey's role in supporting the opposition and prompted claims by many Armenians that the attack was orchestrated by the Turkish government as an attack on Armenians. 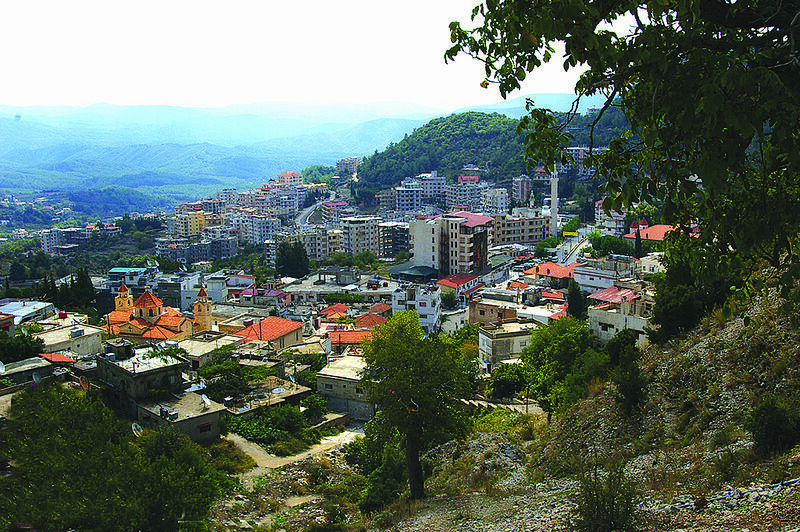 The town, Kesab, is in Syria's far northwestern corner, on the border with Turkey and on the Mediterranean coast. It has been Armenian for centuries, unlike most of the Armenian communities in Syria which were settled by refugees from the 1915 genocide in Turkey. Last week, Syrian rebels attacked Kesab, "part of an offensive aimed at opening up a rebel link to the sea," Reuters reported. And Syria's government blamed Turkey: "Syrian authorities accused Turkey of helping the fighters launch their attack on Kasab from Turkish territory, saying Ankara's army 'provided cover for this terrorist attack' on the wooded and hilly border region." And a number of Armenian sources took that accusation further, and said that it was a deliberate Turkish attack on Armenians. The Armenian website Mediamax posted an interview with Mudar Barakat, a pro-government Syria commentator, in which he said that Turkish Prime Minister Recep Tayyip Erdogan arranged the attack as part of his campaign for Turkey's upcoming elections. "Erdogan is targeting Kassab’s symbolic importance as a peaceful Syrian cradle for the Armenian families who survived the massacres enforced by his Ottoman predecessors and it seems that this attack on Kassab is a reflection of Erdogan’s anger towards Armenia’s stand against his terrorism in Syria, and a reminder of the 1915 massacres and the historical Turkish animosity towards the Armenians." The Washington-based Armenian National Committee of America posted an alert blaming Turkey for the attack on Kesab: "[T]he onslaught on Kessab was launched from Turkey by foreign fighters affiliated with an extremist wing of the al-Qaeda terrorist group. Attackers wounded during fighting were returned to Turkey for medical treatment." And Public Radio of Armenia published an appeal, purportedly from the "Armenians of Kesab", saying: “This is a call to all Armenians. This is a call to humanity. The world needs to hear the truth. Erdogan and his government are war criminals." The allegations by some circles that Turkey is providing support to the opposition forces by letting them use its territory or through some other ways during the conflict which have intensified recently in the Latakia/Kesab region are totally unfounded and untrue. In accordance with its humanitarian and conscientious responsibility, Turkey notified the relevant UN bodies that Syrian Armenians residing in Kesep region could be admitted in Turkey too and protection could be provided to them. Also, the representatives of the Armenian community were informed of the matter through official channels. Contacts on this issue are underway. Necessary steps will be taken to meet the needs of Syrian Armenians as is the case for all other Syrians. Armenian President Serzh Sargsyan has addressed the attack, thanking the Syrian government for its part in protecting Kesab's Armenians but not mentioning Turkey. He did, though, mention Kesab's history, including its suffering in the 1915 genocide. "I think that everyone should realize that these parallels should sober all the sides," he said. The attack had little to do with Kesab's Armenian heritage and more to do with its strategic location, said Emil Sanamyan, the Washington-based editor of the newspaper Armenian Reporter. But it was predictable for Armenians to see it through the lens of their own experiences, he told The Bug Pit. "Now it would of course be desirable for the Turkish government to have the necessary sensitivity to this subjective reality and give Syrian Armenians some kind special treatment, but it appears demands of military necessity have overruled that and the attack on Kessab was staged as a diversionary move to relieve rebels that have been hammered by Assad's forces along the Damascus-Latakia corridor," he said. "That is of course of little relevance to most if not all Armenians and they will perceive it through the subjective lenses, just like everyone else does."